American percussionists Tyler Willoughby and Joe Howe from Southern Oregon University in the United States, currently in Rio performing and teaching at the Brazilian Music Conservatory, visited the project last week and decided to come back on Thursday, this time to help with some serious rhythm and snare drum training for our students. 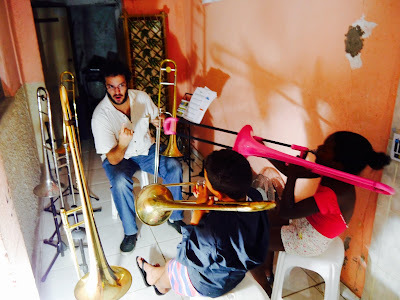 At the same time Brazilian professional trombonist Jonas Corrêa worked with our up and coming new crop of young trombone players, giving them a crucial orientation on basic trombone technique. 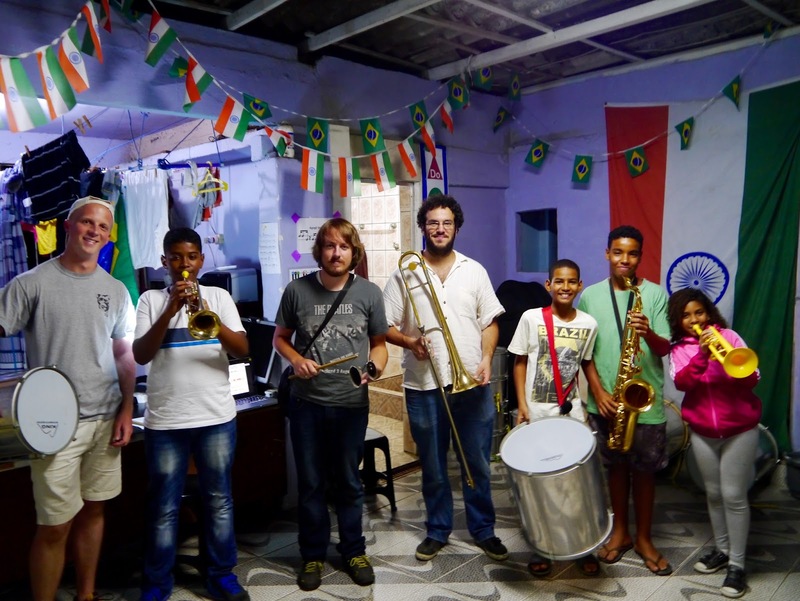 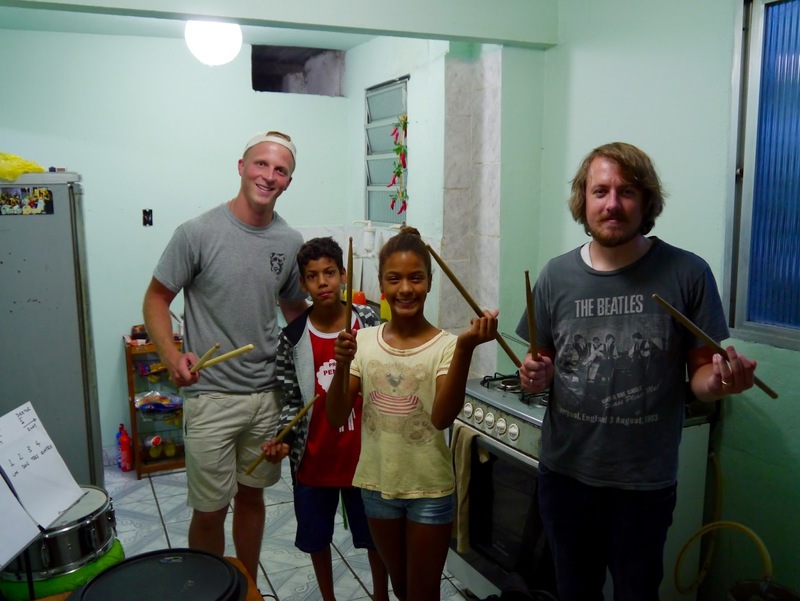 The aim for Favela Brass is to be a centre of excellence, not just providing kids with music lessons, but allowing them a chance to be guided by top-notch professional musicians right from the start. That's clearly what was happening on Thursday and we are extremely grateful to Joe, Jonas and Tyler for donating their time and talent so generously to helping our young musicians.